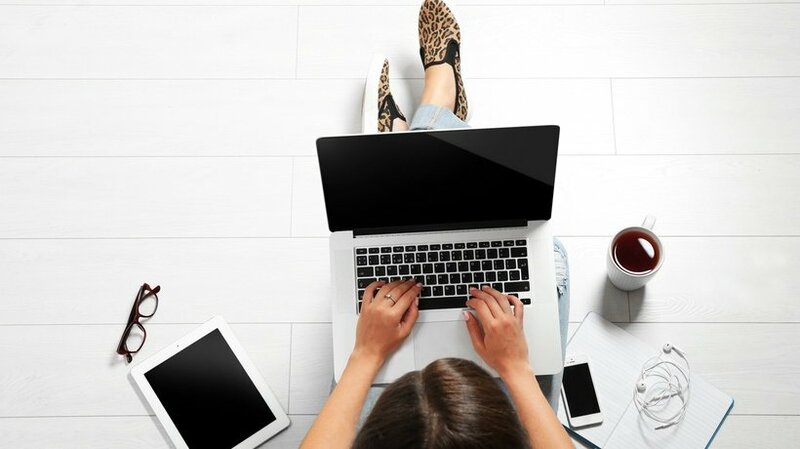 If you are enrolled in online classes and conduct your studies from home, there are a few savvy approaches you can use to get the most out of your day - rather than allowing yourself to go down one too many proverbial rabbit holes. Here are 5 time management strategies for online learning that will help you boost your productivity. Benjamin Franklin said “By failing to prepare, you are preparing to fail”. Even though that was a bit of an English teacher-like quote-of-the-day move, college and graduate level work is especially deserving of adequate time and attention. Though you might believe that you can fool your instructor or professor into believing that you spent four weeks on that final research paper, if the work is rushed, they’ll be able to tell. Trust me: I know from experience. So how exactly do you stay on top of your deadlines? Begin with a good planner or study calendar and add all due dates for each class to your schedule. Rather than solely adding the due dates, however, you should also add notes in your planner to begin work on major projects four weeks before the due date; moreover, scheduling blocks of study time into your calendar each week will help to ensure that the work gets done on a regular basis. You want to be in a place where you are on time or ahead of schedule, rather than hanging on by a proverbial thread due to procrastination. Have you ever noticed how you spent your time, on a given day? Taking note—that is, literally tracking your activities by the hour—can do wonders for helping you understand and prioritize your schedule, each day. Though it may sound like a lot of work, it’s surprisingly simple with the help of mobile apps like Google Calendar. After assessing your schedule over the course of the last week, it may reveal that you have more time for schoolwork than you used to think. Or you may find that you have to re-prioritize and give up certain social functions in order to allow for adequate study time. Once you’ve organized your schedule and taken control of how you use your time each day, be sure to organize your workspace as well, in order to help you establish a routine to follow each day, when ‘logging in’ to your virtual classroom, from home. One thing that can help is setting aside a particular space at home that serves as your office. This physical delegation will help you mentally check into your virtual classroom more fully than simply logging in from anywhere in the house. You want to avoid checking in from the couch, for example, lest you fall prey to a Netflix-watching binge! Establishing a specific routine -such as turning on a specific album of ambient music or making coffee or tea- will also help you get into the study mode. The goal is to train your mind into associating a certain location and routine with study time. These associations will, in turn, help to maximize the amount you are able to learn and accomplish during your study time. If you treat your online class time as you would a second job, with a designated virtual ‘commute’ time, office area, and routine, you will be more psychologically prepared to learn. Lest it go unsaid, here’s a reminder that learning -especially online learning with its virtual nature and absence of face-to-face classroom time- is hard work! To make your work a little easier, it definitely helps to spend time with your studies daily. Check in with your classmates and instructor as often as possible, via email and virtual chatrooms, in order to stay connected, ask questions, and share your thoughts. One great aspect of online learning is the relative invisibility of the classroom time; that is, when you virtually ‘speak up,’ all eyes aren’t literally on you, as they would be in real life. If you show up regularly to participate in class discussions, you demonstrate your dedication to the subject matter and the class. You’re therefore more likely to make a good impression on your instructor, as well as maximize your learning. The more discussion you engage in, the better you will come to understand the subject matter at hand. So don’t be afraid to ask questions and share your thoughts. The more you participate, the more you’ll get out of each class. I hope you’ve found these time management strategies for online learning useful as you navigate your virtual classes and study schedule. Share the tips that have worked best for you in the comments below!